She fell down during the ceremony to honor her 30 years teaching: A Saudi national teacher collapsed and passed away while she was being honored on her retirement after she spent 30 years of her life in teaching. 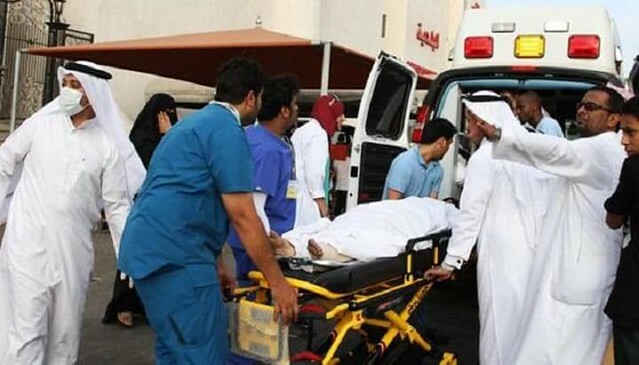 The Saudi teacher, Mariam Al Ghamdi suffered a heart attack right in the middle of the ceremony which had been held in the honor of her 30 years of teaching. An ambulance was immediately called in and the paramedical staff tried their best to revive her, however, her body did not respond to the revival attempts. This was reported by the Al Madina Saudi daily. She left behind a positive legacy: The death of Al Ghamdi, who had been a teacher all her life at a school located in Al Khobar, was also mourned by the general director of education of the Eastern Province district, who also came forward to offer his deepest condolences to the family of the deceased teacher. Abdul Rahman Al Mudaireis stated that our solace or comfort is that she left behind an extremely positive legacy, thanks to her dedication and devotion throughout her years as a teacher and an educationist. RIP Mariam Al Ghamdi: He also added that the teacher has rightfully earned the love and respect of all her peers, students and everybody around her, and we all pray to Allah to reward her for the wonderful deeds and service provided by her during her life. As the news was shared on several of the social media platforms such as Twitter and Facebook, along with the websites of several news agencies, online users and viewers expressed their deepest sympathies to the family of the deceased teacher and have also prayed for the soul of the teacher. She was a role model for her students: Anybody who knew the teacher Mariam Al Ghamdi described her as a truly outstanding individual who cared a great deal about other people. One user writing under the name of Night Stillness wrote on a social media platform that he is one of her former students and the user testifies that she was not only an outstanding individual but also extremely gentle and a benevolent teacher. God bless her soul: The user also prayed to God to bless her soul. Several other users, along with numerous ex-students of the late teacher Al Ghamdi paid their tribute to her commitment, work ethics, and extremely high morals. We also pray for the soul for the deceased teacher who spent her life teaching generations after generations and playing an essential part in the development of not only the students but the world around them.